The sinking of RMS Leinster on 10 October 1918 is the worst maritime disaster recorded in the Irish Sea. It also had the potential to become an issue in attempts to bring the First World War to an end. Wednesday 10 October 2018 is the centenary of the sinking of the mail boat RMS Leinster, which was torpedoed by a German submarine five miles off the Kish Bank after leaving Dún Laoghaire (then known as Kingstown) en route to Holyhead. The steamer was originally built for the City of Dublin Steam Packet Company to service its Irish Sea route; the company had the contract for mail deliveries to and from Britain. The Leinster, along with its sister ships, was pressed into service during the First World War and by early 1918 was adorned with the standard ‘dazzle’ camouflage intended to shield vessels from attack. The Leinster departed the Carlisle Pier in Dún Laoghaire at around 9am on Thursday, 10 October 1918. Amongst the circa 800 passengers and crew on board were postal workers, the crew, civilian passengers, and crucially, a large number of military personnel, both soldiers and sailors. Germany had resumed its highly controversial policy of unrestricted submarine warfare in early 1917, and just before 10am, off the Kish Bank, submarine UB-123 fired two torpedoes into Leinster, which sank rapidly (UB-123 was lost in the North Sea on 19 October, with the death of its entire crew). Perhaps as many as 564 were killed in the loss of Leinster; its destruction remains the single worst maritime disaster recorded in the Irish Sea. The magnitude of the loss was not made entirely clear at the time. In accordance with official instructions and the intervention of the press censor, Lord Decies, no mention of the fact that over 300 soldiers – from Australia, Ireland, Britain, Canada, the United States and New Zealand – were killed on Leinster was to be revealed in the Irish press. Indeed, censorship extended to excising any mention of Leinster from obituaries or reports of military funerals (many of the military dead were buried in Grangegorman Military Cemetery, off Blackhorse Avenue in Cabra). This could not, however, prevent the issue being raised in the House of Commons. The possibility that the leader of the Irish Parliamentary Party, John Dillon, might do so exercised Conservative Party leader and Chancellor of the Exchequer Andrew Bonar Law who, on 20 October, wrote to the Speaker of the House of Commons that if Dillon did so ‘it is certain that the point will be raised that she was in reality a troop ship … this would be very awkward at this moment after the reference to it by President Wilson’ (NAUK T/1/12284). US President Woodrow Wilson had condemned the sinking of the Leinster, stating that an armistice with Germany was impossible while 'the armed forces of Germany continued the illegal and inhuman practices which they still persist in. At the very time that the German government approaches the government of the United States with proposals for peace, its submarines are engaged in sinking passenger ships at sea.’ The Germans had made overtures to Wilson about the possibility of an armistice just days before UB-123 torpedoed the Leinster. A true account of her loss would call into question whether she was a ‘passenger ship’ or in fact ‘a troop ship’, a very real distinction which had the potential to prove awkward for Anglo-American relations, as well as for the ongoing armistice negotiations. 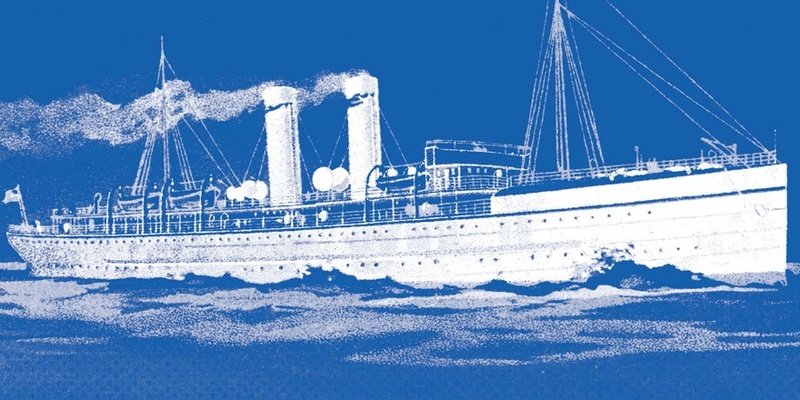 Michael Kennedy of DIFP joined Philip Lecane and Myles Dungan on RTÉ Radio’s The History Show to examine the sinking of the Leinster and the wider issues surrounding it in advance of the centenary of the disaster; listen back to their discussion here.